We are glad that you are interested in finding out more about the work we do. Make yourself at home, stay a while and if you feel so moved, we will be more than happy to help you get connected with a community. All you have to do is click on our Get in Touch button at the bottom of the page for more information on how to contact us. 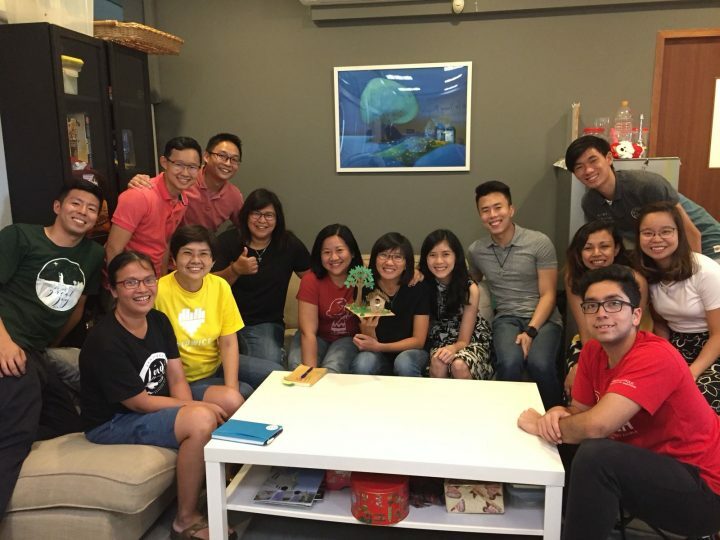 In November 2013, the Catholic Youth Office was renamed the Office for Young People and given a new mandate by Archbishop William Goh to expand its pastoral care to young people aged between 16 (post-confirmation) to 35 years. We reach out to young people including those in local universities and tertiary institutions and young working adults in non-parish based communities. It is an exciting time for us as we connect with them, discerning new areas and new ways of meeting their needs for ministry and pastoral care, through running retreats, etc as well as journeying and one-on-one ministry. Our hearts' desire is to facilitate their encounter with Jesus Christ, drawing them into greater communion as the Church and harnessing their energy for God's Kingdom. We employ the use of social media platforms namely our Facebook page and our website to share more about the work we are doing in the Archdiocese. It is also a means of outreach and encouragement as we share powerful testimonies of what the Lord is doing amongst our young people. As our pastoral purview continues to expand, we continue to develop programs to meet the growing pastoral needs of our young people. Here are some of them. It is our desire to continue to build and maintain relationships with the various parishes and work together with them. We build and strengthen relationships with the various non -parish based young adult communities as well as make new connections and journey with young working adults as we seek to minister to their needs.